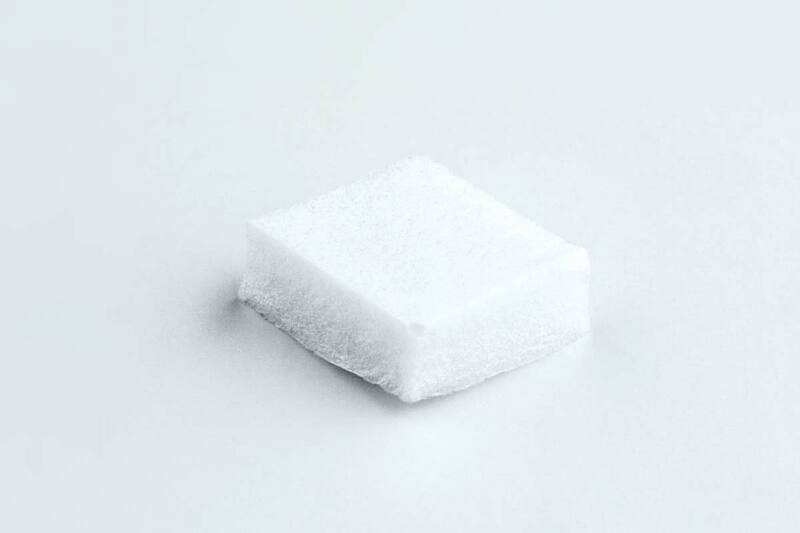 jJason® fleece is a pH-neutral, wet-stable, porcine collagen sponge with highly efficient hemostatic properties [1,2]. 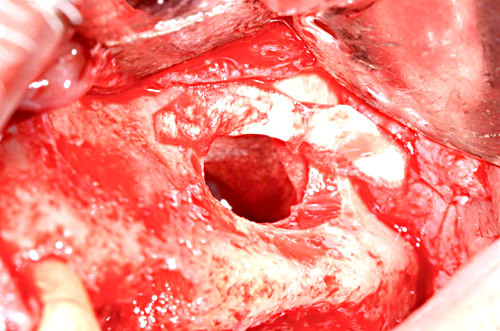 Its natural porous collagen structure supports the hemostasis and controls the natural healing of the wound. 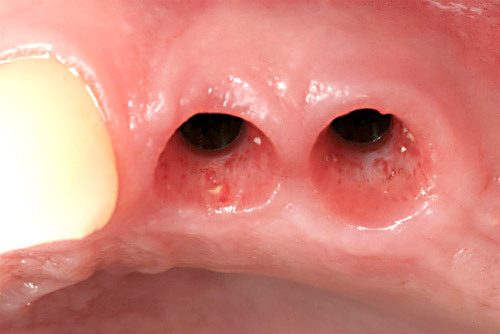 Owing to its spongy collagen structure, the Jason® fleece resorbs within ~2-4 weeks. 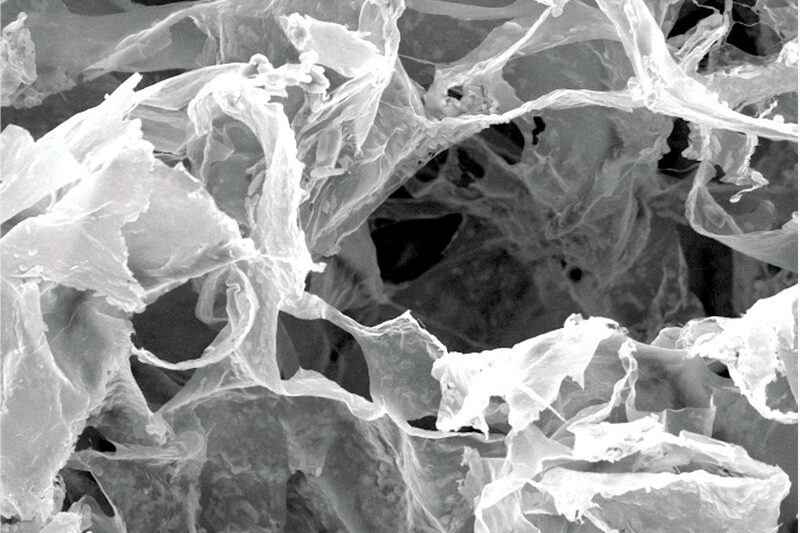 The efficacy of Jason® fleece is based on the well-known characteristics of collagen. The process of blood clotting comprises a complex series of reactions induced by the adhesion of platelets to the collagen fibers, which results in the formation of a thrombus by platelet aggregation. The secretion of coagulation factors is thereby triggered, which initiate further reactions as the formation of a fibrin clot [3,4,5]. 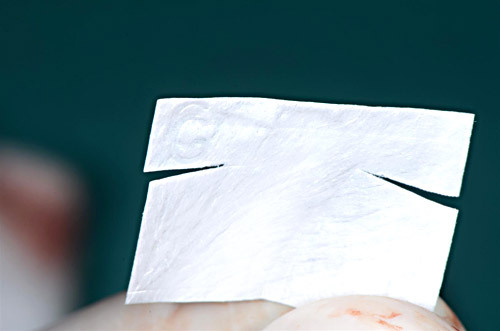 The fast clotting reaction through Jason® fleece is particularly helpful when treating hemostatic compromised patients . 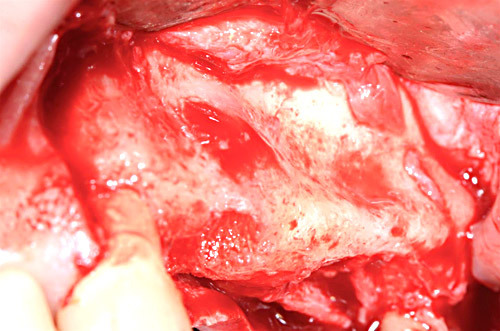 Jason® fleece is indicated as a hemostatic agent for e.g. 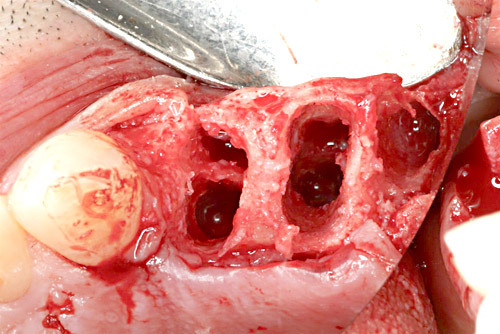 arterial and diffuse seeping bleedings especially in situations in which the application of conventional hemorrhage agents are challenging and time-consuming. 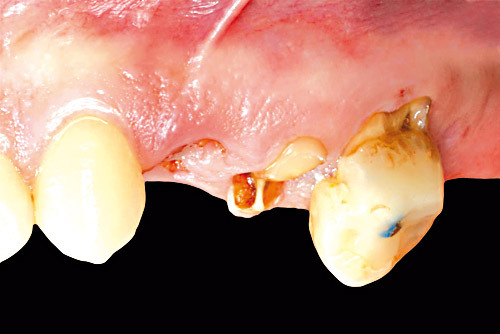 Jason® fleece is produced in a certified process from the porcine dermis. 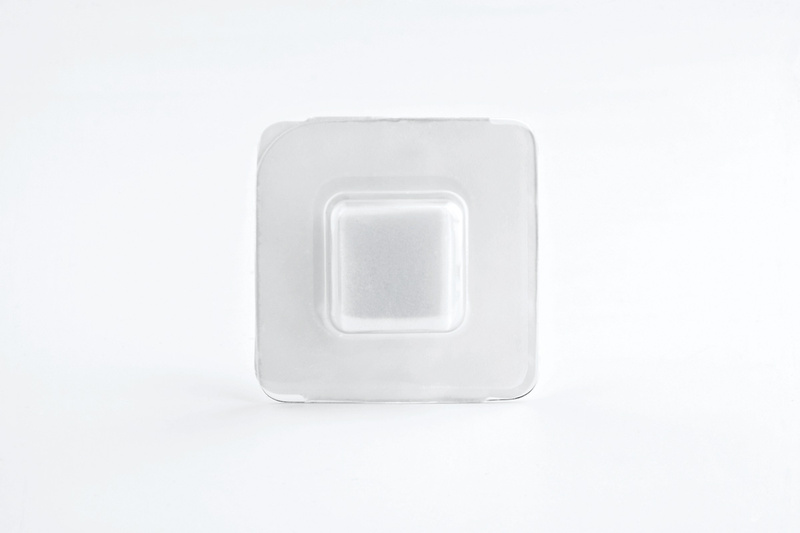 The unique manufacturing process provides a safe and cell-free product that is regulated according to the EC guidelines. 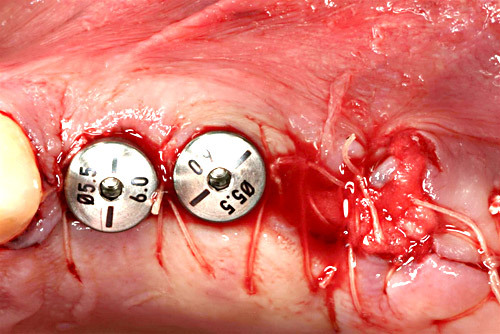 Its natural hemostatic effect and the fast resorption making Jason® fleece an excellent medical device to control bleedings in oral wounds. 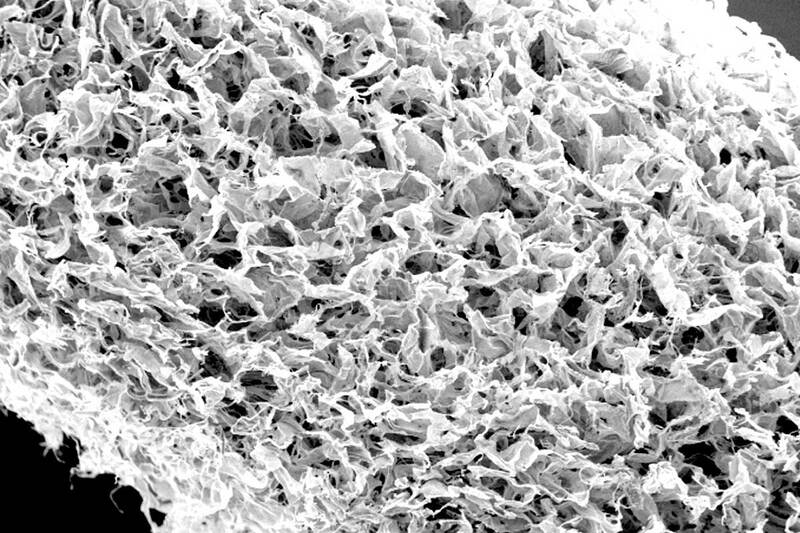 Damage to the blood vessel wall leads to subendothelial collagen release. 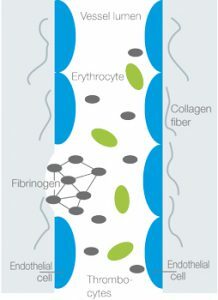 The collagen directly or indirectly interacts with the surface receptors on thrombocytes. The binding of collagen initiates a reaction cascade leading to transformation and aggregation of the thrombocytes. Additionally, the thrombocytes are cross-linked by fibrinogen. 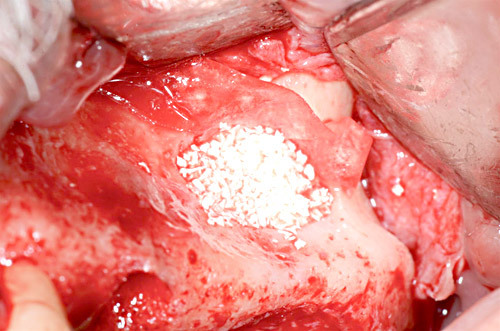 The resulting (white) thrombus initially stabilizes the wound . 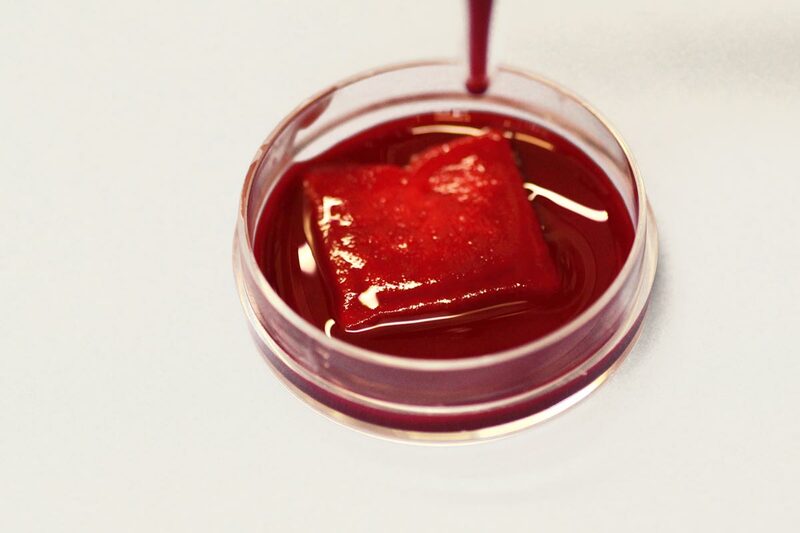 Accordingly, collagen membranes and sponges support the formation of a blood coagulum and contribute to a rapid stabilization of the wound area. 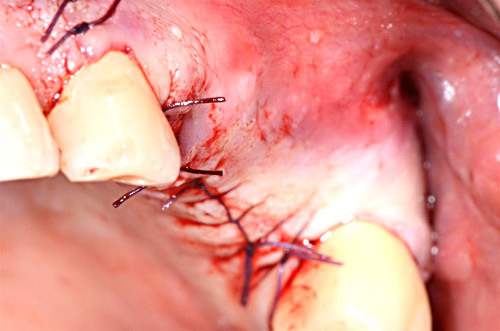 Due to their hemostatic effect, collagen sponges and cones can be used for stabilization of biopsy harvesting sites or covering of minor oral wounds and extraction sockets, respectively. Medication with anticoagulant drugs (i.e. 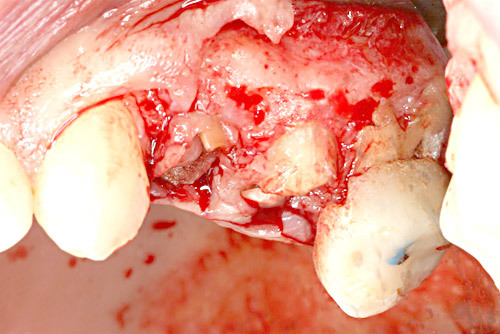 heparin or warfarin) poses a risk for patients of bleeding following tooth extraction. 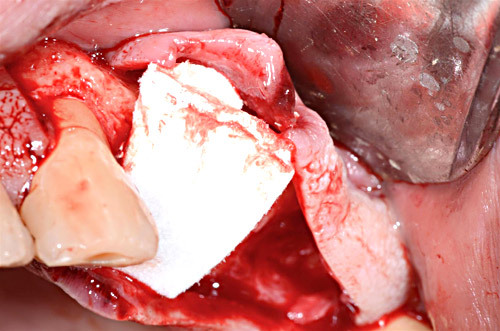 Local hemostatic agents like collagen fleeces can prevent postoperative bleeding without the need to pause the anticoagulant therapy . 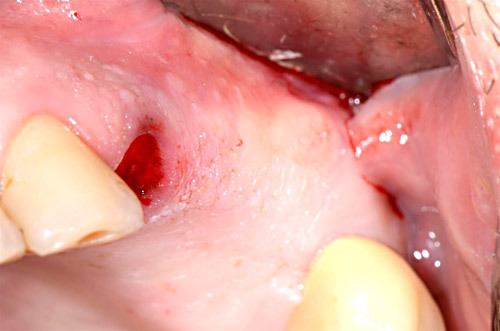 A retrospective study with 200 anticoagulated patients showed a very low rate of bleedings following application of collagen sponges (collacone® and Jason® fleece) in fresh extraction sockets . 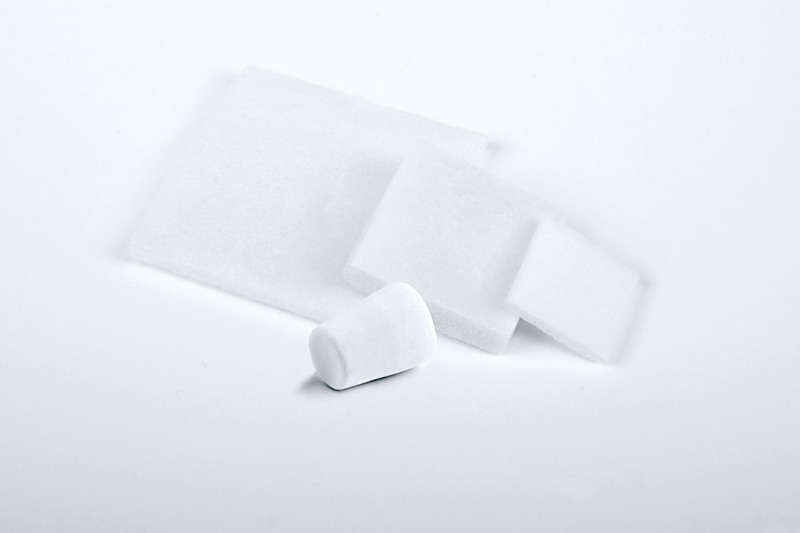 Jason® fleece is a pH-neutral collagen sponge that remains neutral also when rehydrated. In a pre-clinical study it was shown that the pH-neutrality improved the degradation properties and microvasculature formation when compared to conventional acidic collagen fleeces . A dry application Jason® fleece is recommended because pre-hydration may impair its hemostatic properties. At the defect site, the fleece soaks up blood very quickly but maintains its integrity. 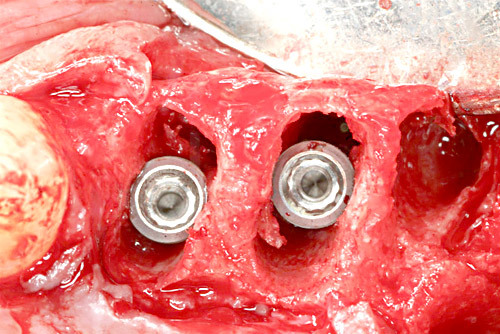 A direct fixation by sutures/pins is not possible, but also not necessary. 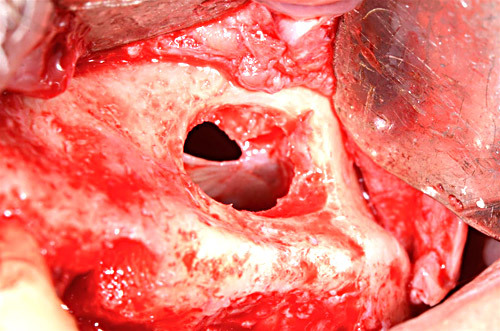 Indirect fixation, on the other hand, by cross- or holding sutures could help keeping the fleece in place e.g. 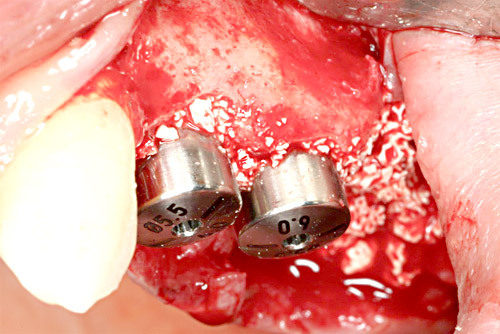 in extraction sockets or at soft tissue harvesting sites. 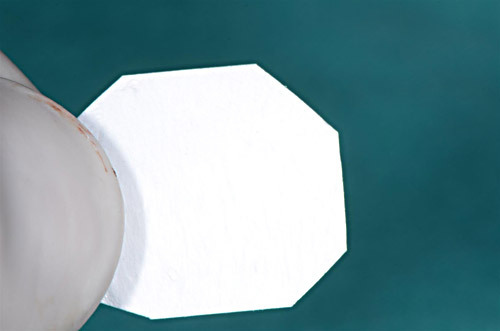 Jason® fleece is a cost-effective alternative to barrier membranes during sinus floor elevations for the protection of the Schneiderian membrane. 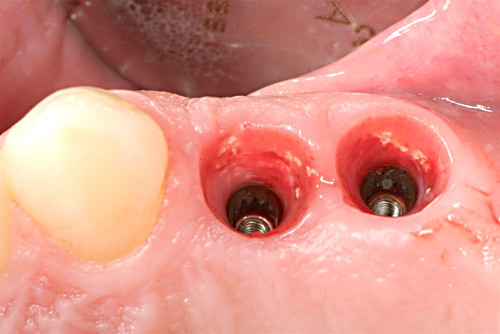 It can also be used to protect barrier membranes from fast bacterial resorption when an exposure is expected. Kilian O, Hossain H, Flesch I, Sommer U, Nolting H, Chakraborty T, Schnettler R. Elution kinetics, antimicrobial efficacy, and degradation and microvasculature of a new gentamicin-loaded collagen fleece. J Biomed Mater Res B Appl Biomater. 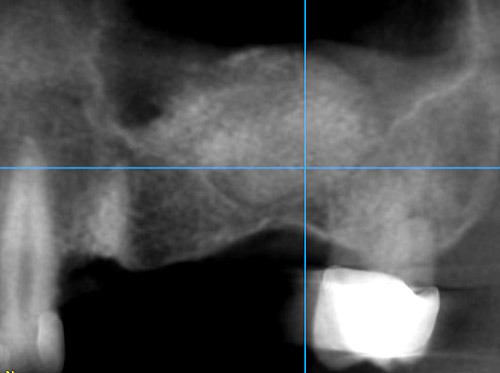 2009; 90(1):210-22. 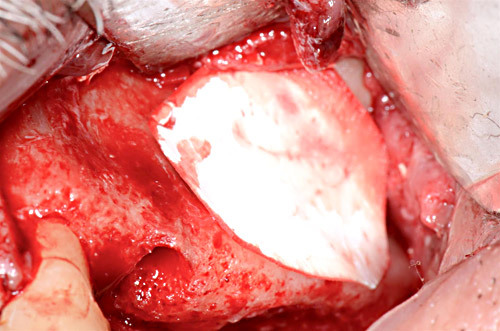 Fleege C, Schmidt J, Schmidt I, Zukowski D, Rauschmann M. Efficacy and biocompatibility of Jason® collagen fleece for haemostasis after iliac crest harvesting of autologous cancellous bone- an observational clinical study. 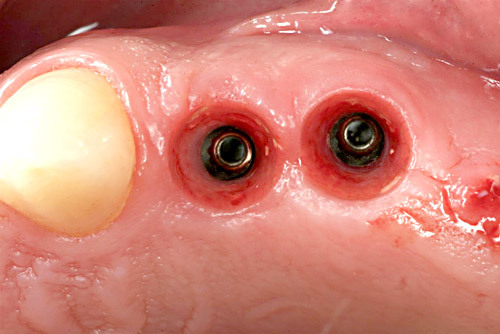 European Mucoskeletal Review 2012; 7(4):240-2. Versteeg H.H, Heemskerk J.W.M, Levi M, Reitsma P.H. 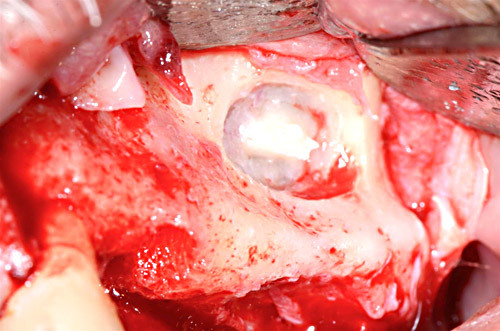 New fundamentals in hemostasis. Physiological Reviews 2013; 93(1): 327-358. Morimotot et al. 2008. 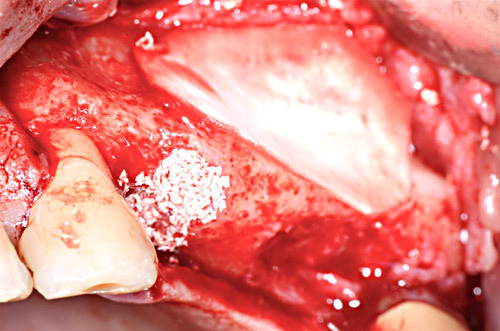 Hemostatic management of tooth extractions in patients on oral antithrombotic therpy. 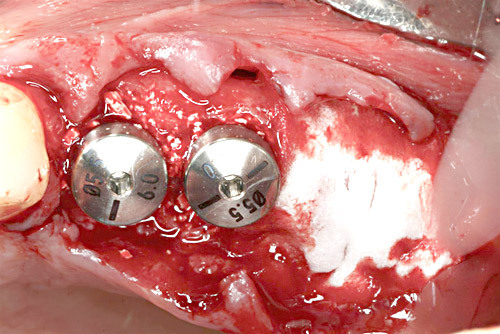 J Maxillofacial Surg 66:51.